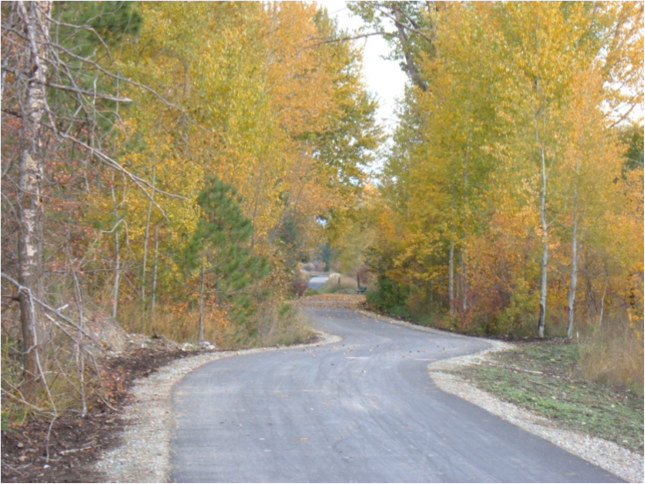 The Great Northern Trail was selected as the 2005 Montana Trail of the Year by the Montana Department of Fish Wildlife and Parks. This path was federally funded through the Community Transportation Enhancement Program, CTEP. 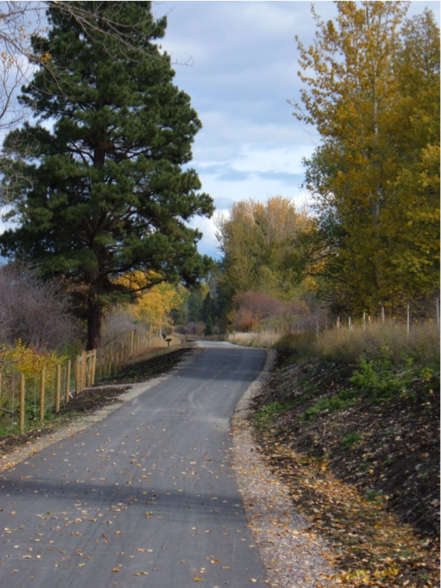 The matching money for the grant was provided by the Rails to Trails of Northwest Montana, Inc. A portion of this trail is situated in the Hwy 2 right-of-way and the design overcame challenges presented by drainage ditches, access roads, utilities, and steep slopes. Another portion of the trail is on the old railroad bed by the river and provides an opportunity to relax and observe wildlife attracted by Ashley Creek.